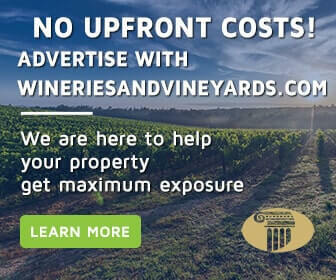 Owning a winery is no small feat. Each winery has a story behind the creation of how it came to be. One winemaker and winery owner carried out his vision. The name Francis Ford Coppola may sound familiar to you. Because of movies such as “The Godfather” Trilogy, “Great Gatsby,” and “Apocalypse Now.” But did you know Francis Coppola owns some of the top wineries in California? Born in Detroit Michigan to an Italian Immigrant family, Coppola later moved to Woodside Queens in New York. As a child, Coppola watched his grandfather and uncle make wine in the basement of their family home. With the belief of wine should be made and enjoyed with family. Coppola carried this into his vision of winemaking and owning a winery. For some, owning a winery may have been a long-time dream. But for Coppola, winemaking is in his blood. His vision for each winery was created based on childhood memories. But also keeping American winemaking at the forefront. During his earlier stage of life, Coppola concentrated on filmmaking. But winemaking was never far from his heart or mind. Wanting to purchase a small cottage getaway for him and his family. Coppola set out to Napa to find property. 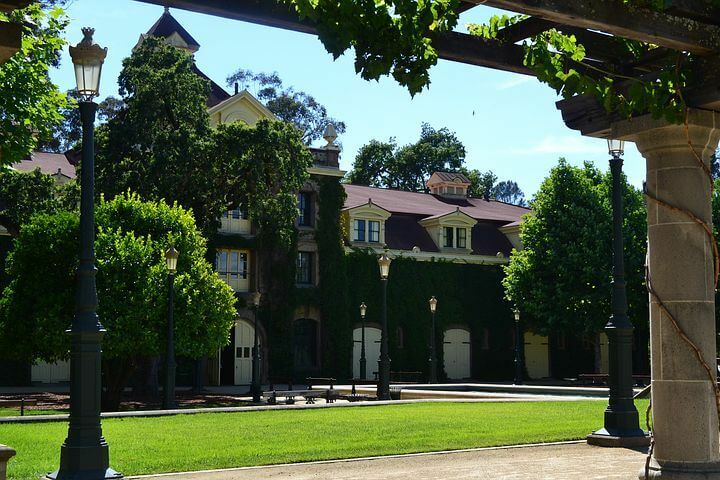 In 1975, Coppola and his wife bought part of the famed historic winery “‘Inglenook Estate”. 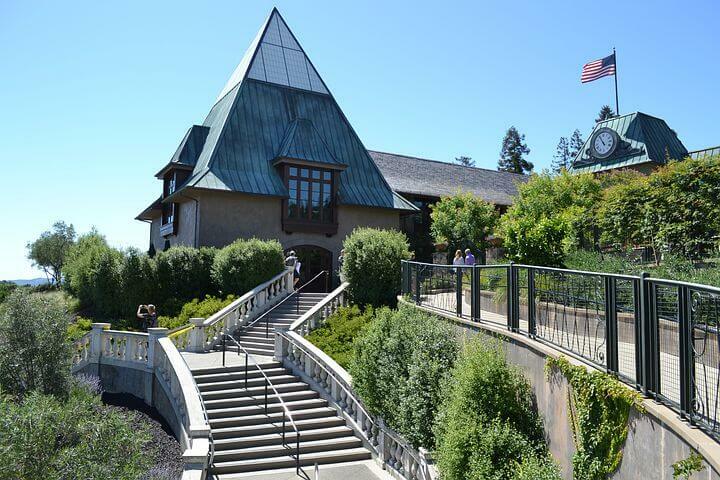 This historic winery featured 1400 acres of land, Gustave Niebaum’s home, and carriage house. Realizing this historic winery estate had such potential, Coppola began the 30-year restoration endeavor of Niebaum-Coppola Estate. But not before producing his first vintage and now flagship wine, Rubicon in 1978. Coppola’s vision for his next winery came from the idea of Tivoli Gardens in Copenhagen. These gardens in Copenhagen were known as “pleasure gardens.” Which included cafes, refreshments, and activities for children. Coppola recreated his love of the Tivoli Gardens into his winery. He wanted family friendly venues. Where families can go and enjoy. Children activities available so parents can enjoy his wine while having their children close. Coppola stated his “wineries will be a wine wonderland of sorts. To be a park of pleasure where everyone can enjoy the best things in life. Enjoy food, wine, music, dancing, games, swimming, performances of all types. A place to celebrate the love of life.” With his vision in mind, Coppola created and built is own “wine wonderland” Ford Coppola Winery. In 2013, Coppola had the opportunity to purchase Old Geyser Peak property. With another winery in mind, Coppola decided to restore this property into his newest addition, Virginia Dare Winery. Francis wanted to resurrect the legend and tradition of Virginia Dare wines that he remembered as a boy. Coppola carried the stories of people, places, and myths into his winemaking of his Virginia Dare Wines. 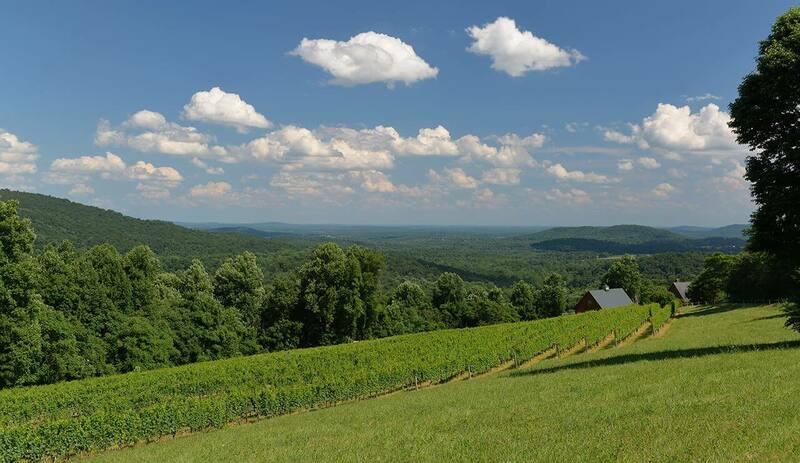 Each bottle of Virginia Dare wine portrays the story and legend of America’s first table wine. Manteo 2015 is a Sonoma Red Blend. Created after a Native American, Manteo who was protector of Virginia Dare. Virginia Dare was the first child of English parentage born in America. When a woman, it has been said she inspired the legend of White Doe. Which was the story of how American wine grapes turn red. Two Arrowheads 2014 is a Paso Robles Viognier, Roussanne. This wine comes from the story of the hunt of the mythical White Doe. Legend states that when Virginia Dare was a woman, she fell in love with a Warrior. But a jealous suitor cast a spell on her that transformed her into a snow-white deer. Her true love was to shoot her to bring her back to her beautiful self, but her suitor wanted to capture her spirit. Both shot at the same time, her lover turning her back into a beautiful woman but her jealous suitor shot her in the heart. Unfortunately, she died. But legend says where she laid to rest is where a grapevine grew—the scuppernong. This is supposedly where America’s first cultivated wine grapes came from. And the legend of how white grapes turn red, as the blood of white doe soaked the ground, grapes on the vine turned from white to red. The Lost Colony White Blend 2016 or Red Blend 2014 inspired by the disappearance of one of the first English Settlements of the new world. With each winery he built; there was a story, vision or legend he wanted to remember and share. The wine he made was to depict the history of the first American wine. Lastly, memories of wine his family made when he was a boy. Francis Coppola Wine, bottled with passion and memories. Truly an experience at each winery or with each sip.